Horton escucha a Quién! (Horton Hears a Who! 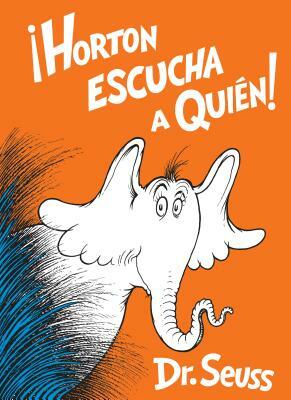 Spanish Edition) (Classic Seuss) (Hardcover) | River Dog Book Co.
A rhymed Spanish translation of Dr. Seuss's classic picture book about kindness! Horton the elephant—one of the most heroic characters in children's literature—shows us that "a person's a person, no matter how small" in this timeless, moving, and comic classic. Told with Dr. Seuss's signature rhymes and trademark illustrations, this Spanish edition of the beloved tale that will be enjoyed over and over, by reader and listener alike.